Few wineries built in the Napa Valley in the 1800s are still making wine at the same facility today. Prior to working in the wine industry Bryan was studying infectious disease research at UC Davis. Interning at Domaine Carneros Winery for the 2000 harvest under Elaine St. Clair. The connection between wine and people. Like people, a wine with no flaws lacks character. Like wine, a person with too many flaws lacks friends. I have found great satisfaction in creating brands and making wines that people can connect with. Few wineries built in the Napa Valley in the 1800s are still making wine at the same facility today. Pope Valley Winery not only makes Napa Valley Cabernet Sauvignon but also Zinfandel, Chenin blanc, and Sangiovese - adding some variety to the visitor’s Napa Valley experience. 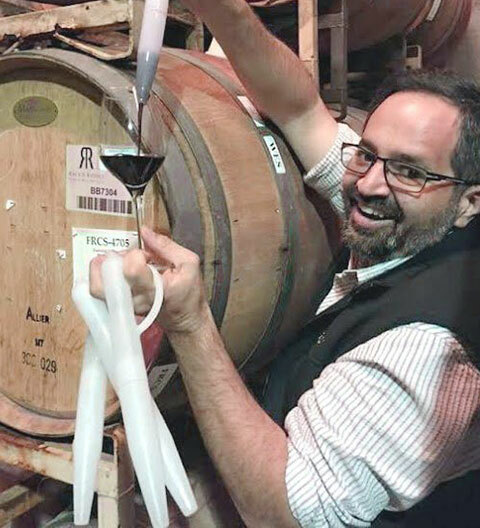 I have made Cabernet Sauvignon from just about every California appellation while working at E&J Gallo’s Research Winery using the same winemaking style to allow for an apples to apples comparison. On average, Napa Cabernet Sauvignons had the most mid-palate weight and aromatic complexity compared to all the other appellations. This first-hand experience is why I moved my family here. Go east from Angwin on Howell Mountain Road and take a left and you will discover what the Napa Valley wine industry looked like in 1897. Pope Valley Winery is an authentic representation of what a small family winery looked like before Napa Valley’s boom. I was studying Infectious disease research before wine at UC Davis. Wine helped me to work with the microbes rather than against them. George S. Patton, Bob Marley and Elon Musk. I qualified as an expert rifleman with the United States Marines prior to graduation from boot camp.